I certainly don’t expect everyone to pay attention to every issue I care about all the time, but things are getting ridiculous. Meanwhile, on this and the tax abatement reform issue, the rest of the local media is almost totally silent. With the Times Dispatch going to a pay wall, things are not looking good for an informed citizenry. Under this regime, the corporate hegemony is increasing. Events this week! Tuesday thru Friday – We have you covered!! Here are a bunch of rad events either at the Wingnut, organized by the Wingnut, or supported by the Wingnut that we highly encourage you to come out to! Rojonekku Hand-to-Hand Haiku Tournament makes its debut at Balliceaux in RVA, under the fluctuating concept of Exercising/Exorcising Demons. Bring 20-some haiku to compete in the event, or just bring yourself to lounge and enjoy the chaotic spectacle of what takes place. Feel more than free to come dressed as any personal or public demon you may wish, so as to better your haiku display, or just better your evening. Juggalo, train kid, delinquent, academic, street prophet, Buddha reincarnate, wine-friendly event. For more information, scope the link –https://docs.google.com/document/d/14tOVhCuRz5uI009i7C5-FVfd7XVgfwsVw6-PfvPZOz8/edit?usp=sharing or contact Raven Doctorlounge Mack who is always ready and willing to answer all questions, even ones he has no clue about how to understand. Especially those, in fact. On October 23rd, come out to Richmond’s new art/puppet/performance space LoveBomb to see Poncili Puppets. Poncili have performed multiple times at the Wingnut Anarchist Collective. Now we are helping them to have a show at the new venue! Please bring money to buy merch or donate to the puppeteers! rePHRAME, Residents of Public Housing in Richmond Against Mass Evictions, is holding their community forum on Thursday, October 24th. Food Not Bombs will be cooking cornbread and chili to cater the meeting. On Thursday, October 24, 2013, at 5:30 PM, RePHRAME will sponsor its 6th Annual Community Forum highlighting the concerns of public housing residents in Richmond. The event will be held at Greater Mt. Moriah Baptist Church, 913 N. 1st Street, Richmond, VA 23220 in the Fellowship Hall. Dinner will be provided and children are welcome. The march toward eliminating poverty has had several omissions directly impacting quality of life for the residents that already live within the Richmond city limits. Transportation, Housing and Trauma associated with NOT knowing living quarters will be topics at this year’s forum. Impending redevelopment and potential challenges to the city’s long standing history of NOT implementing Section 3 requirements of federal dollars used in marginalized community development will also be addressed at this year’s forum. Last year’s Unpacking the 2010 Census data provided supporting research to empower residents as to how to include their voice at the table of engagement with results will also be available for public awareness. Come one come all on Friday October 25th to a Halloween Bike Parade! Critical Mass/ bike parades are typically on the last Friday of every month. 5pm meet up in Monroe Park near the fountain. The ride will leave at 6pm! Costumes encouraged as long as they aren’t the racist/sexist variety or other oppressive costumes. Bring music, signs, kids, etc. To celebrate bikes and Halloween! The ride will be a group ride and we will try to stick together- its no race! We can be fabulous traffic in costumes! 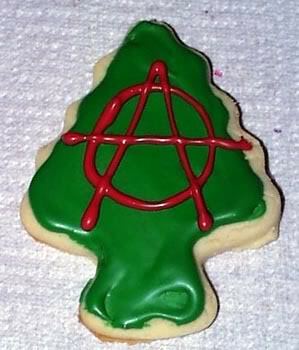 Join the Wingnut Anarchist Collective for a Holiday Hangout on December 24th. We’re thinking family, friends, food, food, food, puzzles/games, music playin, chilling, food, possibly organized games or present exchanges, movies, sleepovers, hot chocolate, cozyness in general. More details to come, and ideas welcome. But if you are looking for somewhere to go for the holiday let us know. Probably be a sort of collaboration where everyone brings food and fun to share! Sober Bowling with the Radical Recovery Support Group! November 14th! Join the Radical Recovery Support Group for some sober bowling! and then leaving to be at Hanover AMF by 9pm! Bring a dish to share if you can/want but we will have some food too. Food and soda is super expensive at the bowling alley so we want to eat a lot before we go! We will definitely have room to give rides if you can meet at the Wingnut! You can also meet us at the bowling alley right before/at 9. 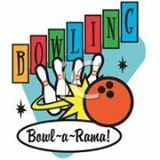 The bowling is all you can bowl shoes included – about $12 bucks per person for 2 hours of all we can play, so please bring your own money! We will try to get coupons to cut down on cost but no promises. There IS booze at the bowling alley, so its not a totally sober environment by any means. But we will be bowling as a sober group! Exciting news- the rotational hosting trial period is ready to go! We have some great news! After months of work, Richmond Food Not Bombs is finally ready to go ahead with our rotational hosting plan. Under this system- provided everything goes well during the December-February trial run- Food Not Bombs cooking and cleaning duties will be hosted in rotation by three sites. Each site will take on hosting duties for one month, for a total of four months out of the year. Until December, we’re continuing to host every month at the Wingnut Anarchist Collective, at 2005 Barton Avenue. For the month of December, the host site will be 1202 North 22nd Street, in Church Hill. For the month of January, the host site will be 3100 1st Avenue, in North Side. In February, hosting duties return to the Wingnut, and Food Not Bombs will have an evaluation meeting, to work out any kinks and make decisions regarding the long-term plan. As always, volunteers are welcome to help cook from 12:30-3:30pm every Sunday, at the designated host site. There is no required registration or sign-up of any kind; just show up. Likewise, everyone is welcome to eat with us at the corner of Main and Belvidere Streets, in Monroe Park, at 4pm every Sunday. The meal will still be free, vegan, and open to everyone.If you have questions, or want to confirm the host location for a given month, e-mail rvafoodnotbombs@gmail.com or call our Google Voice number, at 781-436-2275. Check out the interview with 3 RVA Zine Fest Organizers on RVA Mag’s website!!! Poncili Puppets Oct 23rd at Love Bomb! Doors at 7! Show at 8! Two old ladies try to direct the order of the world by a mistake interrupted by a shadow of the future that is represented with weight upon our backs.the possibilities apear in all their benevolence and evil . Even the weight becomes life but what seed will sprout from the endless tug of war beetwen the forces of time monsters will lose their shape and babies will cry as they laugh while you watch from your seat! Make sure to checkout the Safer Spaces policy too! There may be a few last minute additions to this schedule, but here’s an up-to-date listing and description of our workshops and activities offered by volunteers. All workshops are free! Just bring yourself and be ready to engage your mind, your hands, or both! WHO: The People’s Library (2013) is a highly collaborative and sustainable public art project featuring a library designed, built, and authored by community members. Utilizing hundreds of discarded books, participants pulp and create new sheets of paper. These sheets are bound to make blank books, which anyone may check out, author, and return to be included in the Main Branch of the Richmond Public Library’s permanent collection. The resulting installation contests hierarchical notions of history and offers sustainable, collective, and critical alternatives for the form and function of public art. WHAT: Throughout the day participants can help make paper, silk screen the title pages, and bind the books that will be included in the library’s permanent collection. WHO: Leila Prasertwaitaya is the Book Arts Specialist at VCU, where she wears a lot of purple and talks to classes about artists books and zines. WHAT: Make zines! Supplies will be on-site.